​Reflection-Based Terrain (Diamond) for the entire movie. At the start of the movie, computer hacker Neo believes himself to be living inside the Square virtual world of the Matrix, a computer program where everything is controlled and manufactured by machines to keep the humans docile, while - unbeknownst to him - his body is plugged in like a battery as a power source for the machines. Neo is not content to believe the propaganda of the machines in the virtual world of the Matrix and starts to question his reality, a very Diamond thing to do. In the famous scene where Neo is offered a choice between the red pill and the blue pill, he chooses the pill that leads to mind expansion, wishing to be shown the truth, even if it will not be pleasant. His actions are truly Diamond acts of questioning, truth-seeking and mind expansion. Upon taking the red pill, Neo is ejected from the virtual world of the Matrix, unplugged from the grid of human batteries and lands in a rebel ship with others who have been similarly freed from the imprisonment of the machines. He is now living in the hard and gritty 3D reality outside the computer program that is the Matrix. He may not like this new world, but at least he is free of the Square machine and he is surrounded by like-minded Freedom fighters at Diamond . The leader of the group of rebels is Morpheus, who is “Toroid-Aware” at Diamond , with great mental powers inside the virtual world of the Matrix, but the same powers as everybody else outside in the real world. As the movie progresses and Neo becomes more aware of the illusory nature of the Matrix, his mind expands further and further, becoming first “Spiral-Aware” and then “Toroid-Aware”. As his mental powers over the hologram that is the Matrix develop, he eventually overtakes his great teacher Morpheus in his mental capacities and becomes “Infinity-Aware”, giving him complete powers of creation in the mental, simulated world of the Matrix. It is important to understand that Neo remains at Diamond throughout the movie, yet his minds expands further and further, until he has complete powers of creating his own reality within the virtual world. 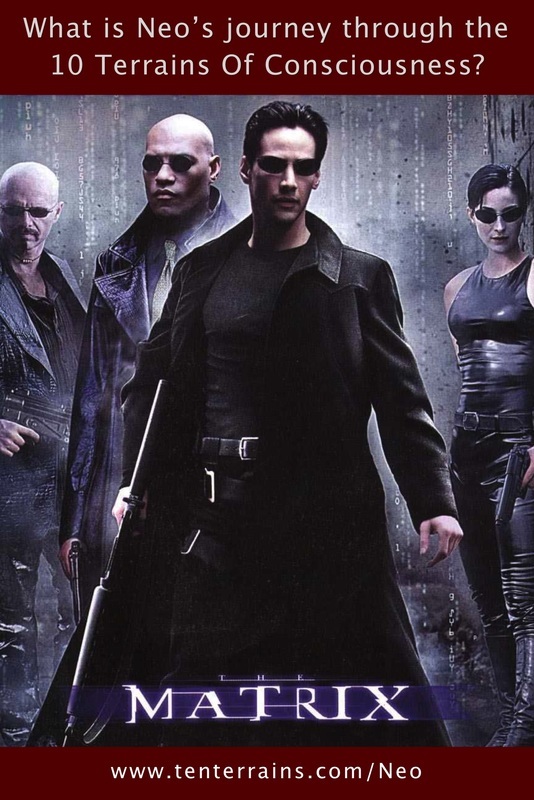 However, Neo’s powers are purely mental, as his real body remains outside the computer program, in the renegade ship, with only his mind plugged into the Matrix at those times when he is living in the computer program. His physical body remains vulnerable at all times, and subject to all the pains of existence. He has no power over the real 3D world in the ship, only over the virtual world inside the computer program that is the Matrix. 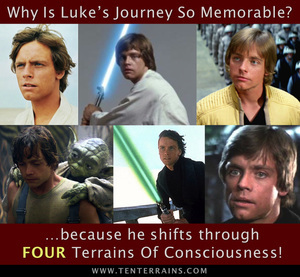 His journey of expansion is a purely mental one, yet is is still a profound journey and is of great benefit to mankind. Neo’s journey of mental expansion to being Infinity-Aware is a wonderful example of the Diamond spiritual journey when a person is mentally projected to Terrains beyond their own. 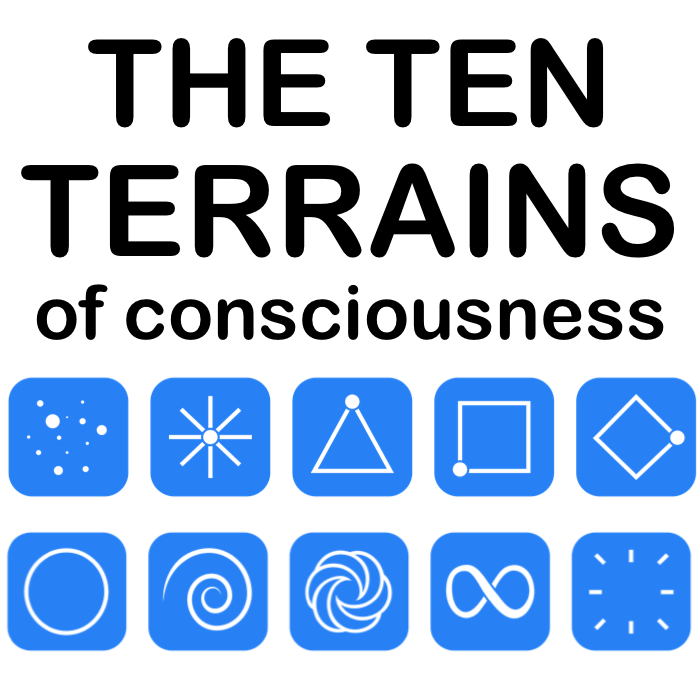 ​​Want to learn more about the 10 Terrains? Want to find out YOUR Terrain?